Currently, electric golf trolleys are heavy, bulky and difficult to pack away. Despite these drawbacks 600k electric golf trolleys are sold worldwide each year. The fundamental design hasn’t really changed over the years, a battery and a motor in the base of the trolley drive the wheels and customers just had to accept the inherent issues of bulk and weight. This was the case until Concourse Golf came to us with a vision for the CBM Smart Wheel, a revolutionary way to turn any trolley into an electric one by adding two wheels and a remote control. The challenge for us was that we were creating a world first, something that had never been made before. 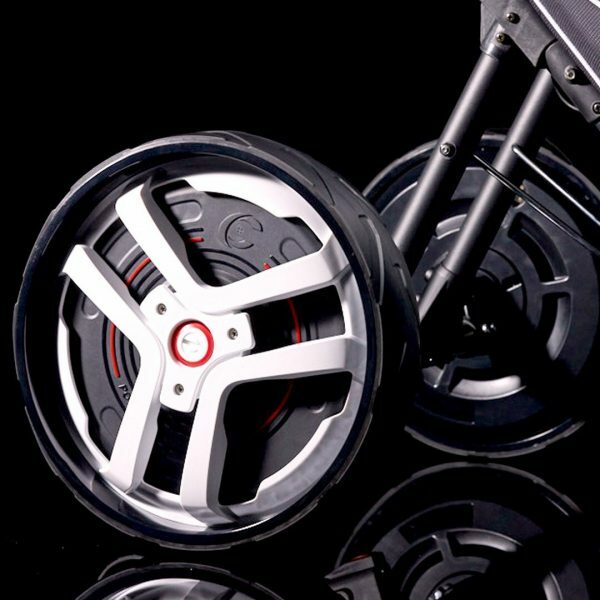 Along with Design + Industry in Melbourne, our goal was to create self-contained, self-propelled, wireless golf buggy wheels. On the electronics front the key challenges in the design were the integration of many components into the wheel space available (motor, electronics, battery, mechanics) and the coordination of the wheel behaviour without the benefit of a physical wired connection between them. Most importantly, the system had to be easy to use and last for 27 holes before needing to be recharged. We provided an end to end service, turning a prototype unit into a commercial, certified electronics design that could be produced at volume. Given the market potential, our focus was to work with the Concourse team to realise market leading features such as ease of control, long battery life and smart control features. The Concourse Golf Smart Wheels are set to revolutionise the electric trolley market. 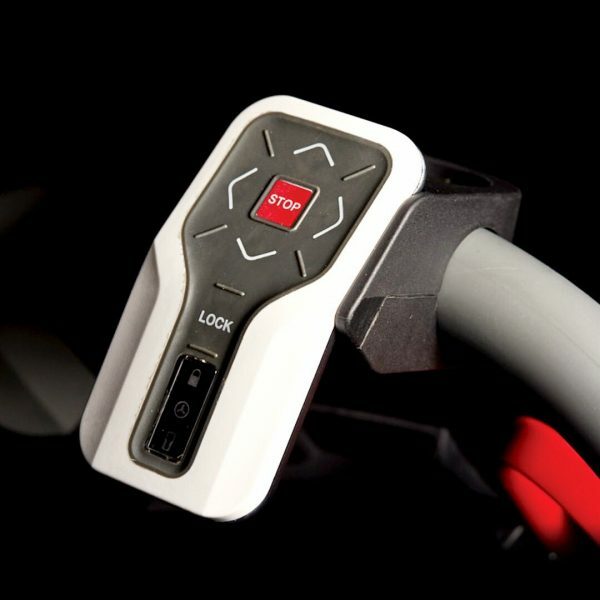 They accelerate, decelerate, turn and stop according to input from the remote control, all while dealing with golf course terrain and holding the weight of a golf bag. The fully enclosed system can be connected to market leading manual trolleys, and be packed away easily into a convenient, small case. 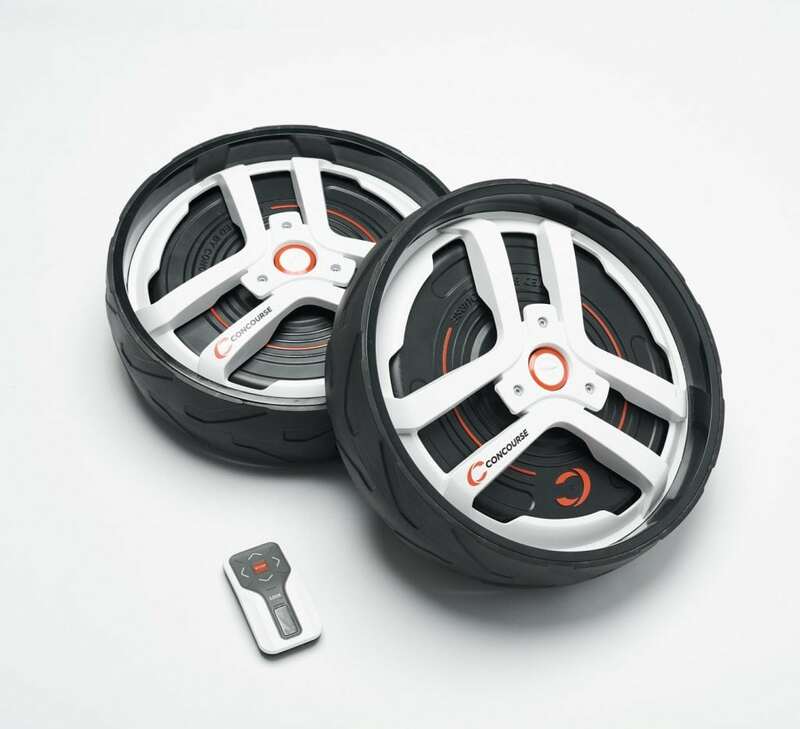 The CBM Smart Wheel was a 2018 Good Design category award winner, the Smart Wheels where also featured on Australian Golf Digest and Fox Sports. Perhaps most impressive is how Smart Wheels fit to your existing buddy. Smart Wheels are not forking out money for a new buggy, rather motorising what they already have.